Little Family Fun: Countdown to Halloween! LM is VERY excited about Halloween. It all started when he saw me buy a little pumpkin costume for LB the other day. Ever since then, he asks me several times a day, everyday, if tomorrow is Halloween. I have to keep telling him that it's still a 4 weeks away. But not understanding how much time that really is, I thought it would be fun & helpful to do a countdown. LM will choose a ghost each day until Halloween and we will do a special activity. Some will be 5 minutes or less. Some will be longer depending on our time. And one of the surprise ghosts will of course be the Halloween activity of ALL Halloween activities: Trick of Treating! what a cute idea! This could easily be incorporated into any holiday or month, and probably great motivation for me to do all the fun ideas with the kiddos that I have saved over the years! oo very fun! 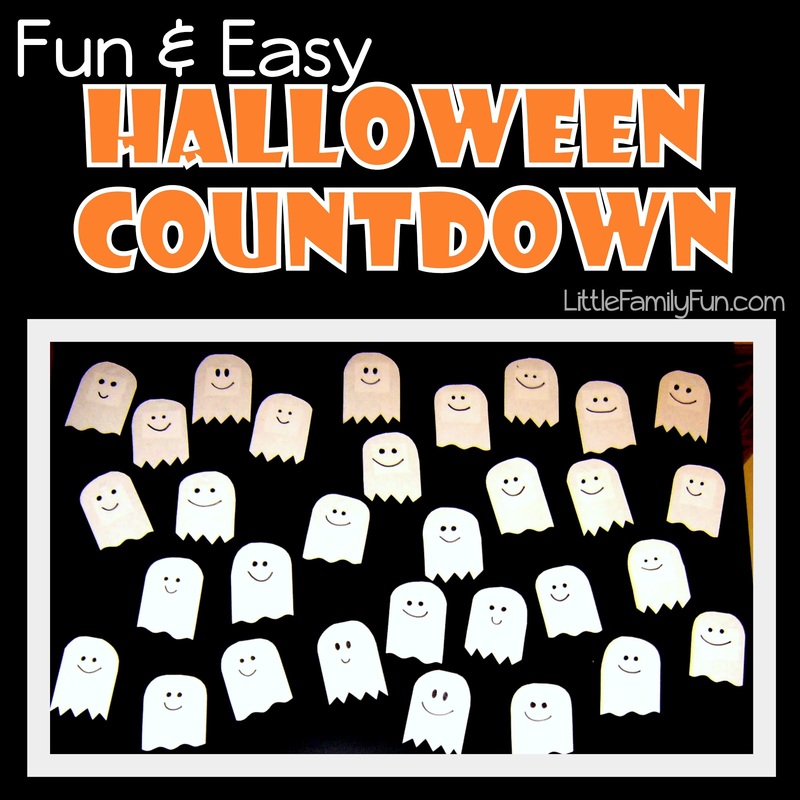 I need to get my Halloween count down created!